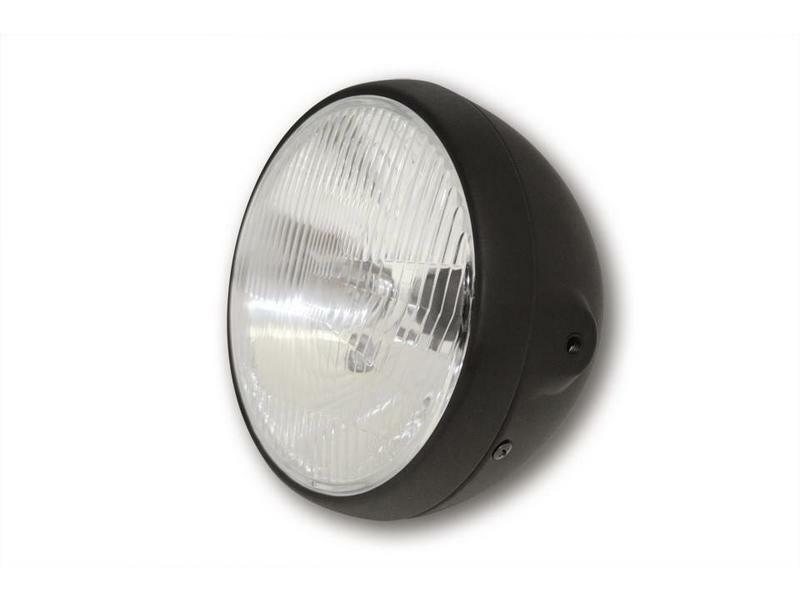 Direct replacement of the original headlight, H4 lamp and ribbed glass for a retro look. 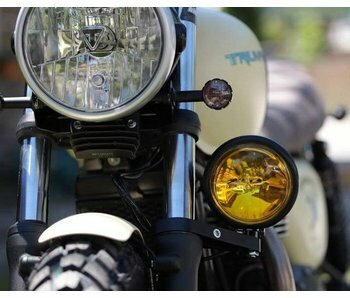 Will fit Scrambler (2001-2016) but you will need to change the headlight brackets (see here). Will also fit any bike that takes a 7-inch headlight held by two opposing bolts. Direct replacement of the original headlight, both if it has the old-style ribbed glass (up to 2008/9) or the more modern sleek makrolon (2009-2016). Mounting on original headlight arms. 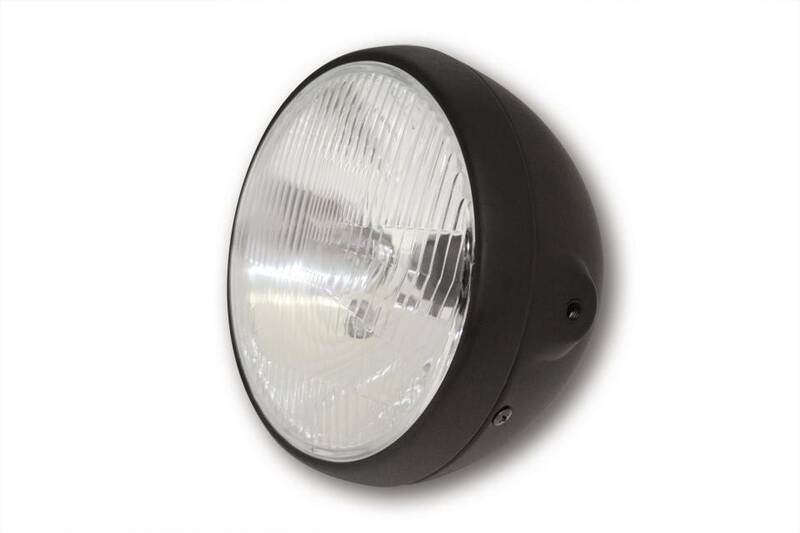 Easy installation, can be installed in place of the original headlight. The capacity can accommodate the electrical connectors residing inside the original headlight. 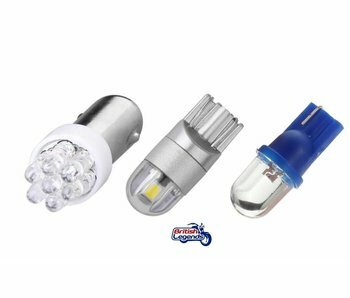 Supplied with holder and bulb for the riding light. 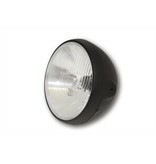 The main beam (H4) carrier and bulb is not included but the original one fits directly in seconds! 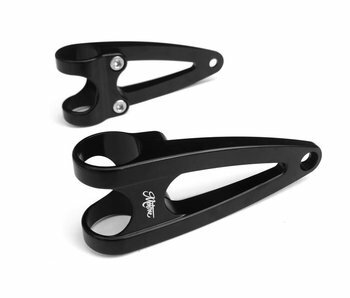 Pair of headlight support arms that give your Triumph a modern and sporty look. Solid aluminum, satin black finish.